New York City And State Expect To Save Billions On New Teacher Pensions. Despite the conservative think tanks like the Manhattan Institute and Bellwether Education Partners who claim that public employee pensions will bankrupt the City and State, when the next recession rolls around, the truth is the Tier VI pension plan will eventually save billions of dollars. The Tier VI pension plan affects all public sector employees, starting April1, 2012. No, its not an April fools joke, This plan is significantly inferior to the previous Tiers IV and V. However, since few people are under Tier V, since it started on January 1, 2010 and ended March 31 2012, I decided only to compare the Tier IV pensions with the Tier VI pensions. The table below shows different scenarios for New York City teachers and the pensions they would receive under both Tier IV and Tier VI. It's obvious that the City and State will realize significant pension savings in the next decade and beyond. If you take in account that the Final Average Salary (FAS) is the five highest consecutive years under Tier VI, rather than the three highest FAS in Tier IV and the age reduction factors are larger, the Tier VI pensions will be smaller In addition, Tier VI teachers must contribute a minimum of 3.5% and that rises to 6% throughout their teaching career while the Tier IV teacher only contributes 3% for the first ten years. Moreover, since it now takes ten years to be vested, over 40% of New York State teachers will leave the profession before being eligible for even a minimal pension. 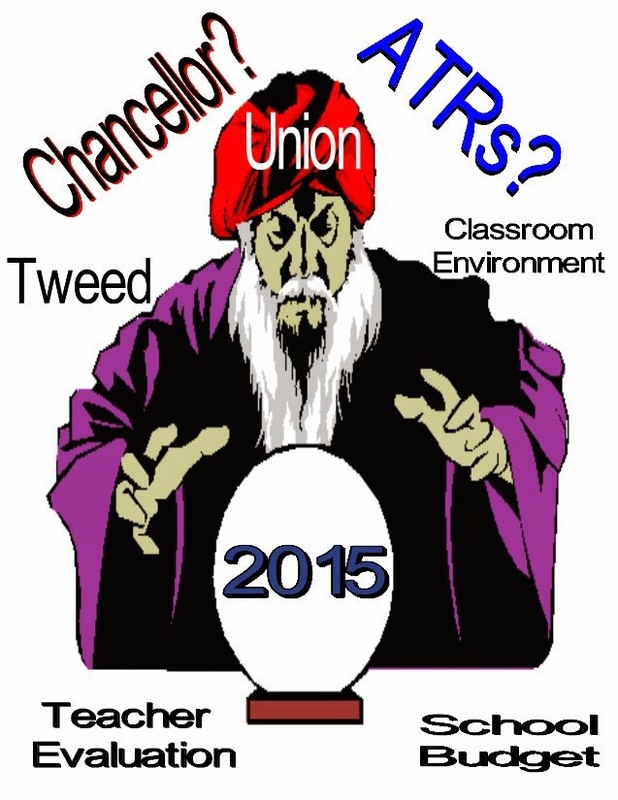 Finally, if Governor Cuomo gets his way, few Tier VI teachers will last long enough tp reach full retirement age. If the Tier VI teacher will average $10,000 less in an annual pension and since there are 200,000 teachers in New York State, the average yearly savings will be 2 billion dollars annually. For a comparison of Tier IV, V, and VI pension plans, look at my post Here. How To Defeat Governor Andrew Cuomo's Destructive Education Agenda. I am bitterly disappointed at the tepid NYSUT/UFT reaction to Governor Andrew Cuomo's attack on the State's teachers. Instead of drawing a line in the sand and expose the Governor's education agenda as an education reformer attempt to destroy the teaching profession and public education, they talk about compromising with the Governor about providing additional funding to the education budget in exchange for changes in the teacher evaluation system. In the popular nyc educator blog, he points out that some unnamed sources have told him that NYSUT/UFT are already negotiating with the Governor's office on the APPR. If true, that is real bad news. Instead of fighting for their members, they are compromising and weakening our "due process rights" for a few more education dollars while allowing the Governor to gradually destroy our profession as we know it. What can we do to stop the hypocritical Governor, who believes that the high stakes Common Core tests should not be used to evaluate the students who take them but be used against teachers who teach the students, despite the fact that the "Value Added Method" is considered "junk Science" by all academic associations? The ICEUFT blog has proposed to boycott the administration of the high stakes Common Core tests and work with the various "opt out" groups throughout the State by starving the data beast and I strongly agree with that approach. children to hate school because of their fear and loathing of the test. That means working closely with the many education organizations that are against the mindless testing regime instituted by the State. Our union and their allies have enough political clout to make sure that many politicians in the State Legislature to think twice about voting for the Governor's education agenda, even Republicans would join in since many of them are against the Common Core. I propose that NYSUT and the local unions boycott the State's high stakes Common Core tests and work with the many various "opt out" groups into a Statewide organization to have enough students to refuse to take the tests and teachers to administer them so that the State cannot use the information for either student progress or teacher evaluation. 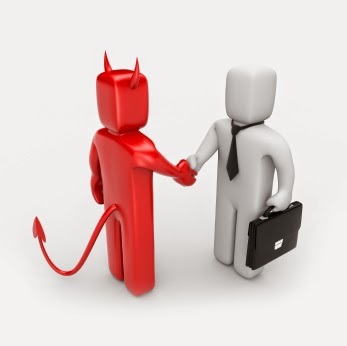 Compromising with this Governor is like making a "deal with the devil" and no good will comes from it, its time to take the fight to Albany and destroy the use of the useless and destructive State high stakes Common Core tests once and for all. I was just informed by a colleague that Alan Rosenfeld passed away from Cancer yesterday. Who was Alan Rosenfeld? He was legendary for his extended stay in the DOE's "rubber room". Alan spent eleven years away from the classroom, while collecting his full salary and increasing his pension by $1,700 every year simply because Chancellor Joel Klein decided that Mr. Rosenfeld should not be with students. This was called "Chancellor's discretion" and Alan was one of a handful of teachers and guidance counselors (ranging from 6 to 10) who the DOE's Office of Legal Services has kept out of the classroom since 2001. What terrible things were Alan Rosenfeld accused of doing? In 2001, he was accused of telling one student that she loved him because she liked to talk to him. Also the DOE claimed he stared at the girls and leered at their butts, and made frequent lewd comments to female students. The independent arbitrator threw out most of the charges as being unfounded hearsay and found Mr. Rosenfeld guilty of only masking an inappropriate comment to a student (the you love me comment). His punishment? He was suspended one week without pay. Yes, just one week! 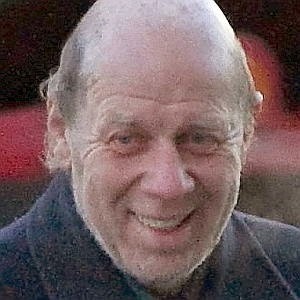 Somehow, Chancellor Joel Klein and SCI decided that Alan Rosenfield was a dangerous sexual predator and he, along with five other educators, were not allowed to reenter the classroom again., They were the original "Chancellor discretion" list that still exists today under the three Chancellors after Joel Klein. Alan Rosenfeld was targeted because he was quite cantankerous and questioned many of the decisions by the new school administrators and since he was a veteran teacher and considered a "troublemaker" by the administration, they were looking for something, anything, to have Mr. Rosenfeld removed from the school. During his more than a decade tenure in the infamous "rubber room", Alan was able to work on his vast real estate holdings and ignored the futile attempts by the DOE to leak out damaging and embarrassing information to the local newspapers about Alan and others on the "Chancellor's discretion" list. When Alan reached the age of 66, his full Social Security age, he decided it was time to finally retire with an Final Average Salary of $100,049 and a pension of $85,000, or so reported by the New York Post. Rest in Peace Alan with the knowledge that you beat the DOE by making lemonade out of the lemon they served you with..
Can A Terminated Teacher Lose Their Pension? The Answer Is No If They're Already Vested! Over the years I have been contacted by teachers who are going through their 3020-a termination hearings and the one question they have is "will I lose my pension if I am terminated"? I have always reassured them that they do not lose their pension, no matter the outcome of their 3020-a hearing. Part of the problem is that back in the early 1980s, before the law was changed, New York City had the right to not give a pension for employees found guilty of misconduct. The police and firefighters, with less than 20 years of service, still have that rule but to my knowledge, nobody else does. For teachers who are vested, if they are terminated at their 3020-a hearing, they still qualify for a pension and can take it at age 55 (reduced pension) or 62/63 (full pension). Retiree health benefits are also provided for as long as the terminated teacher worked the appropriate amount of years to qualify for the benefit (Tier 4, 5/10 years, Tier 5, 10 years, Tier 6, 15 years). Vested teachers who are terminated and want to take their retirement contributions rather than waiting for a pension can do so. Included would be the member contributions, the 5% interest paid on the member contributions by the City, and the money the city contributes to the Annuity Savings Accumulation Fund (ASAF). If they have money in the Teachers Deferred Annuity Fund (TDA), they can either leave it there or take it out. For the teachers who are not vested and are terminated, they can receive their member contributions plus the 5% interest. However, they will not be eligible for a pension unless they secure another position with either New York State or the local governmental agencies under the New York State public employee pension plan. If you withdrawal your member contributions then you also must take out your TDA contributions as well. Approximately 50% of the teachers never last long enough to be vested and only 33% will make it to full retirement age and this is before the Governor's proposed teacher evaluation system that will result in an increasing exodus of teachers from teaching in the City and State. That means both the City and State can expect to see fewer teachers drawing pension benefits and an eventual surplus in their pension funds in the next decade or two. The bottom line is if you are terminated after your 3020-a hearing and you are vested, then you are eligible for a pension.and possible retiree health benefits. Andrew Cuomo Is Out To Terminate Teachers. Governor Andrew Cuomo took a page out of the education reformer playbook and presented his education agenda and there is little doubt that his main purpose is to terminate teachers using "junk Science", and highly questionable evaluations. In his education agenda, the Governor wants to make the State's high stakes Common Core tests 50% of the teacher's evaluation and if the "junk Science", in the form of the Value Added Method (VAM), shows the teacher to be "ineffective" than the teacher is "ineffective", no matter how well the teacher did on the observation part. Moreover, two consecutive "ineffectives" will result in automatic termination. In addition, the Governor wants an independent evaluator and not principals to do the teacher classroom observations since he claims that the principals gave out too many "highly effectives" to their teachers. Furthermore, to get an "effective" rating, teachers must be rated "effective" for both the testing and observation parts. Who pays for these independent evaluators? The school districts, of course! Tenure would only be earned after five consecutive years of "effective" or higher ratings. A developing rating will not count toward tenure and could derail tenure. Further, any teacher accused of corporal or sexual abuse of a student will be subject to an expedited 3020-a hearing, similar to what New York City uses for teachers subject to felony and major sexual misconduct charges. That means being taken off payroll after a "probable cause" hearing and terminated by the Arbitrator in the subsequent 3020-a hearing. Increase the charter school cap by 100 to 560 and eliminate the geographical limits that would allow for many more charter schools in New York City. Furthermore, he proposes that the charters receive a $750 per pupil increase in funding. Ne also wants a 75% tax credit to donate scholarships to public, private, and parochial schools. Of course the private and parochiual schools will benefit the most and take away students and funding for the public schools. For struggling schools, the Governor wants to have non-profit "turnaround specialists" to run them and override the union contract to terminate teachers. Finally, if Andrew Cuomo gets his way, he will give the schools an extra $1.1 billion more, or half of what education expects expect to adequately fund the schools. The anti-teacher Daily News editorial Board applauded his speech and that tells you everything you need to know. The Open Market Transfer System Ensures High Teacher Turnover In Deep Poverty Schools. In the aftermath of the infamous 2005 contract the DOE, with the approval of the UFT leadership, developed and implemented the Open Market Transfer System (OMTS) that allowed teachers to move from one school to another without the approval of the Principal. On the surface this appeared to be a good idea, except it came with some very serious consequences that resulted in the elimination of the seniority transfer system and the creation of the ATR crisis, Furthermore, few highly experienced teachers are being offered positions in the OMTS, due to budgetary considerations. However, what was not anticipated has turned out to be the most serious issue of all, and that is the high teacher turnover in struggling schools with deep poverty. A study done in 2013 by the Research Alliance For New York City Schools found that an astonishing 66% of teachers hired between 2002 and 2009 left their middle school within five years, For high schools it was 65% and 59% for elementary schools. The article stated that schools with high poverty students were more likely to see their recently hired teachers move to other schools. Firm and fair student discipline. By far, the most likely reason for teachers to leave their school was lack of respect for or by the school administration who failed to provide support and relevant guidance to help the teacher in the classroom. Moreover, teachers who left complained of the school administration's lack of trustworthiness and unfair evaluation practices. Finally, if the Principal was not considered a "strong instructional leader" and was not supportive of the staff, their schools suffered from high teacher turnover. Another problem with schools that suffered from high teacher turnover was the lack of a collaborative staff. Many of these struggling schools hire new teachers on a continuous basis and that destabilizes the school. These teachers lack qualified mentors and since each of these teachers are under great stress to understand the curriculum and develop classroom management skills, there is no time to share "best practices" with other teachers. Furthermore, the constant teacher turnover does not allow for social interaction as many of these teachers spend most of their time taking required courses, making lesson plans, and doing the obscene amount of paperwork required by the DOE. Therefore, Collegial relationships that make the terrible working conditions somewhat tolerable is lacking in those schools with high teacher turnover. Quite a number of teachers did leave due to student discipline issues. Unfortunately, too many students lack respect for teachers, have chronic absenteeism, and have extremely poor work habits. In many of these schools the school administration would have an uneven and even unfair student discipline policy that made the classroom a even more hostile environment. The quality of school leadership. The caliber of collegial relationships. The OMTS is really the "wild west" where teachers dissatisfied with their school can go on the system and get another position, regardless if the teacher was rated unsatisfactory or had their probation extended which means that struggling schools in deep poverty neighborhoods have little or no chance to retain their teaching staff since many of these schools are run by "Leadership Academy Principals" with little classroom experience and are poor instructional leaders. Moreover, since many experienced teachers will not willingly take a position in these schools, the students are exposed to a continuing line of inexperienced teachers that will negatively affect their academic outcomes. 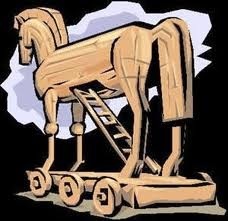 Until the DOE changes the ideology that allows weak and vindictive leadership to run these struggling schools, look for the recently hired teachers to leave those schools, thanks to the OMTS, a real Trojan horse when it comes to deep poverty schools. Constant Teacher Turnover Hurts Student Academic Achievement. In 2008, the nation suffered an extremely deep recession, the worst since the great depression of 1929. College graduates found few jobs awaiting them and many turned to the more stable but relatively low paying teaching profession as a stopgap. Alternative programs such as "Teach For America" (TFA) and for laid off professionals there were the "Teaching Fellows" (TF) programs that funneled them into the teaching profession. Many school districts offered retirement incentives to encourage higher salaried teachers to retire. The result was that school districts across the country saw a turnover of their teaching staff. However, the teacher turnover had a big downside, the constant teacher turnover hurt student outcomes. 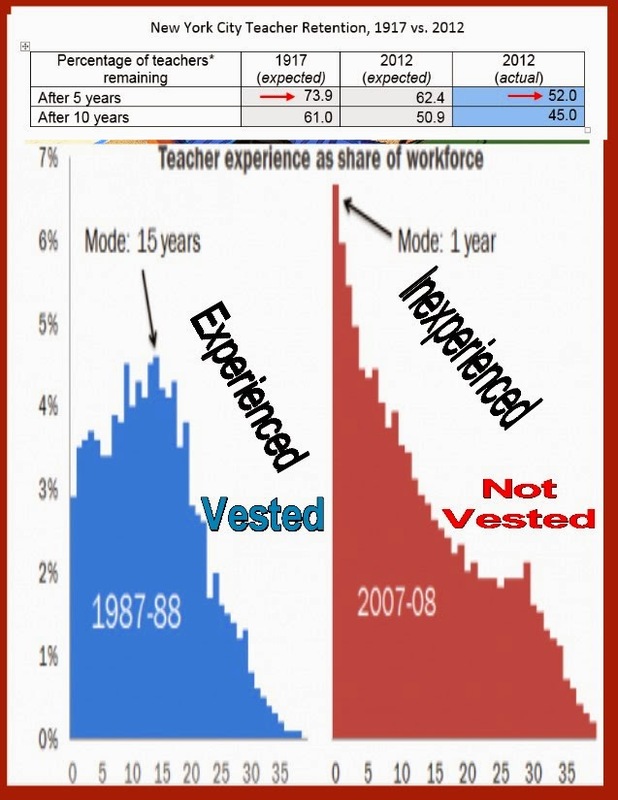 The picture above shows how unstable the teaching profession became, starting in the mid 2000s. In the 1980s, most teachers viewed teaching as a life-long profession and most teachers had fifteen years of experience, were vested, and looked forward to receiving a pension. However, by the 2000s that changed dramatically, the largest group of teachers only has one year in the profession, not vested, and the majority will not be teaching before they are even vested! For New York City teachers, 55% of the teachers have left the profession before they actually make it to ten years in 2012 and in 2013, as the recession started to ease, the number of teachers leaving the profession are increasing. The constant teacher turnover, with inexperienced teachers, many of them not fully certified and subject to a steep learning curve themselves, destabilizes the schools and hurt student academic achievement. Why the media and politicians chose to ignore this just shows that its not what's best for the students but what is best for their ideological allies that counts. Will New Teachers Make It To Their Retirement Age? Probably Not. The attack on teachers in the last two decades has been unrelenting as politicians, the media, and people like Gates, Broad, and Bloomberg want to eliminate teacher rights. Even New York Governor, Andrew Cuomo has demanded that the teacher evaluation system be strengthened so that up to 10% of the State's teachers be rated "ineffective" and terminated. From all sides public education is attacked as education reformers and their corporate allies want to privatize the schools, be in charters, online, or voucher schools. With this massive onslaught against public education and the teachers who provide instruction, let's look at the chances that a newly appointed 25 year old teacher makes it to full retirement age. A non-profit group called the Bellwether Education Partners published a study called "Friends Without Benefits" that showed that only 19.7% of all teachers are expected to make it to their retirement age. In some States like Maine, only 1.8% of the teachers are expected to make it to their retirement age while the best state, California expects 48.2% of their teachers to retire at their retirement age. Even just to be "vested" and receive a minimal pension is difficult in many states. 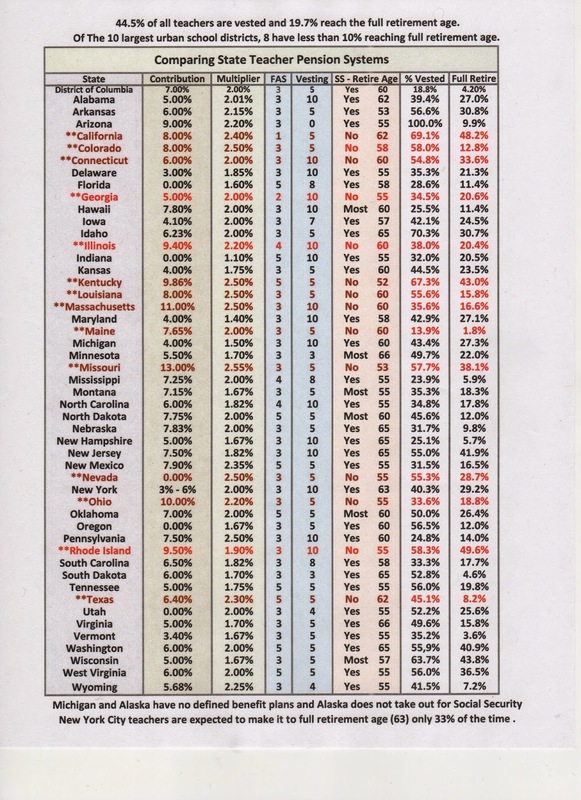 Nationally, only 44.5% of the teachers work long enough to be vested with Maine, New Hampshire, Pennsylvania, Mississippi, and Hawaii having only one out of four teachers being "vested". While the numbers are pretty dismal for the States, the urban area results are downright terrible. The Conservative Manhattan Institute published a study called "Better Pay, Fairer Pensions" that included the projected percentage of new teachers making it to their retirement age in the ten largest urban school districts. The Table below shows the expected percentage of new teachers that will make it to their retirement age. Interestingly, new teachers in New York City have a higher probably of reaching their retirement age than the State average (29.2%) which either means that the data is faulty or that the study assumes that the superior health and welfare benefits attached to the pension for New York City teachers as well as the fifteen year vesting requirement encourages many of the remaining teachers to stick it out until they reach the retirement age. For the remaining urban areas, outside New York City and Los Vegas, the percentage of teachers reaching retirement age is dismal and in the single digits. Even just making it to be vested is low with less than one in five teachers being vested in Washington D.C. (18.8%). To make matters worse, in fifteen states, teachers are not eligible for Social Security and if they don't receive a full pension, then they jeopardize their retirement. This is a dilemma and why the education reformers like the "fifth columnist" Educators for Excellence and the Conservative Manhattan Institute advocates for a portable pension system (401K) for teachers. However, teaching has never been a short-term job and despite the many roadblocks that politicians and their education reformer allies try to impose on the teaching profession, it still should remain as a life-long position, complete with retirement benefits and adequate health care. 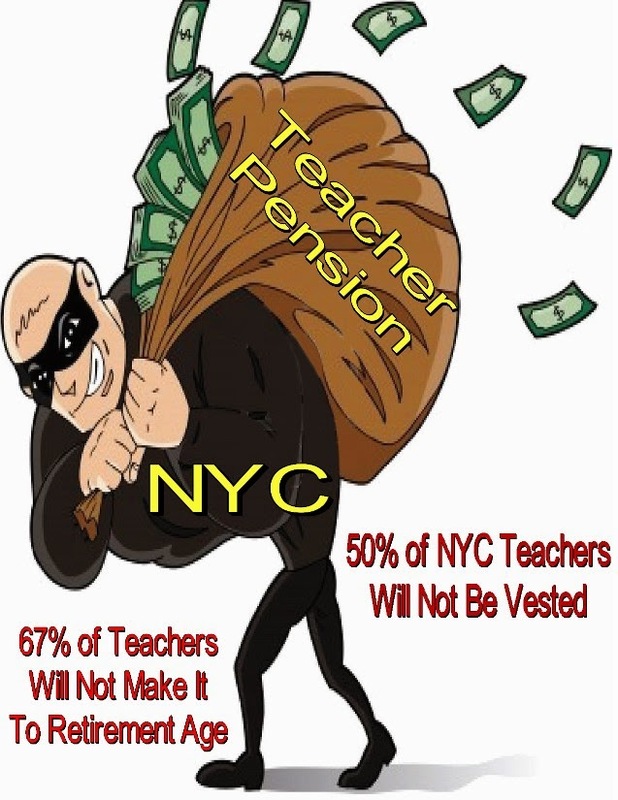 In New York City, even if you are to believe that 33% of the new Tier VI teachers will make it to their full retirement age of 63 (I don't), that means that 67% will have left the system before reaching the holy grail, a properly funded pension. The 65% Passing Rate Bulge. 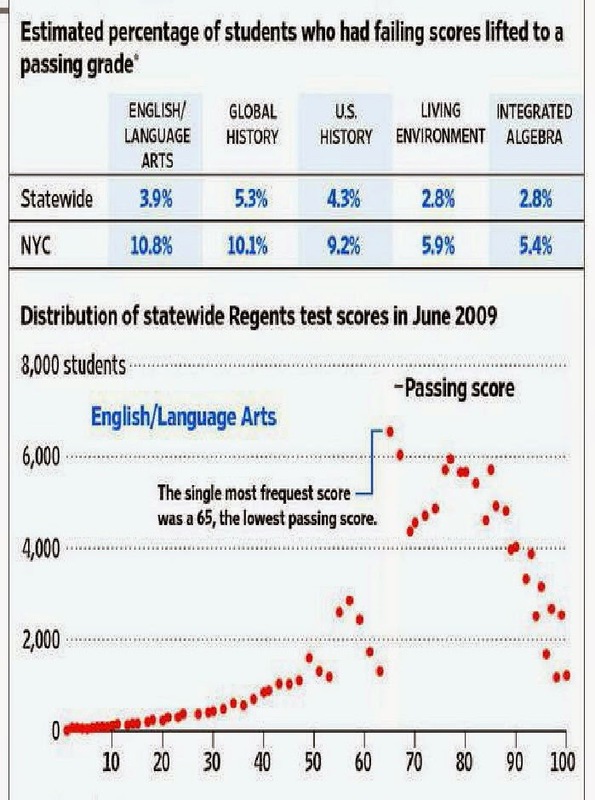 Back in 2011 the Wall Street Journal published a report that showed there was a significant 65% bulge in Regents scores throughout New York State and for all subjects. In New York City the 65% Regents bulge was even greater. For instance, the 2009 English Regents passing grade with a 65% was over five times higher than those who received a 64%. More importantly in Social Studies the Regents passing grade of 65% was an astounding fourteen times higher than those who ended up with a 64%. The uproar over the 65% bulge resulted in the State recommending that the Regents scoring be done by teachers who don't teach their students while the City decided to go one step further by requiring that Regents scoring be held outside the school entirely. The first results from the City showed a 50% reduction in the 65% passing Regents bulge the year after some schools were required to follow the new procedures and an additional 50% drop the next year when all New York City public schools were required to follow the new rules. Interestingly, the Bloomberg Administration exempted charter schools from the new requirements and the De Blasio Administration has not changed the policy that allows charter school teachers to score their own students Regents. That brings me to the 65% passing bulge for the final school grade and the grading policy of the schools that pressures teachers to pass students that don't deserve to pass so that the school can show an artificially high graduation rate and grade on their progress reports. Teacher after teacher tells me their stories about the administration demanding a 80% to 90% passing rate for their classes, including students who are on the class roster but have stopped attending the class. Moreover, many schools refuse to allow teachers to give the student lower than 50% as a grade, despite these students seldom showing up or fails to bother to do any work whatsoever. Some schools limit the failing grade to 55% and then allow many of these otherwise failing students to take "credit recovery" courses or alternate projects to pass the class, usually over the objections of the teacher. I suspect the more a school struggles academically, the bigger the 65% passing bulge is for that school. One teacher, whistle blower Philip Noblie has championed for an in-depth investigation of the 65% passing bulge, similar to his complaint in the infamous Cobble Hill Regents cheating scandal that found, or not found the school administration guilty of a massive coverup, depending on the investigator and the politics played in the investigations that might have gone up as far as the District Superintendent, yes, the now Chancellor, Carmen Farina. Will the DOE actually look at the 65% passing bulge? Highly unlikely, if you ask me. Why question the ever increasing graduation rates that, on further inspection, would show that many of these high school graduates can't even fill out a job application, posses appropriate work skills, or make it in college after wasting a year taking remedial courses for no credits? I personally have little doubt that there is a significant 65% bulge as schools are incentivized to pass as many students they can to improve the school's standing at the expense of the academic reputation of the school when these graduates are unable to function in the adult world. But then again, the DOE only cares about the graduation statistics and not whether the student was truly academically proficient to function in the real world. Goodbye And Good Riddance To The Children First Networks. It now seems clear that the useless and money sucking Children First Networks (CFN) will be just a bad memory come the end of the school year as Chancellor Carmen Farina gives the Superintendents their authority back where it belonged. These CFNs were the Frankenstein creation of ex-Deputy Chancellor Eric Nadelstern who also was responsible for the hiring of the "Leadership Academy Principals", the explosion of small schools, and who told parents at a meeting that up to two thirds of New York City teachers were not good enough to teach their children. Thankfully, Eric Nadelstern resigned in 2012 when Mayor Bloomberg passed him over and selected the equally unqualified Cathie Black as Chancellor. However, the damage he did is still affecting the New York City Public Schools. The CFNs were created to take away authority from the Superintendents and to give Principals power over their hiring and school policy. To. make sure the CFN did not create a geographic power base, all CFNs must include schools outside their borough. This meant that some schools in Staten Island had to travel to Eastern Queens and Brooklyn schools trek to the Bronx to talk to their CFN. Worse, few teachers or parents even knew what CFN controlled their school's policies and parents felt abandoned as their school based complaints fell on deaf ears outside their community and borough. The CFNs had a virtual veto power over many of the Principal hires and they were the driving force to hire the cheapest teachers for the schools that contracted with them..Moreover, schools were forced to select and pay for the selected CFN with many small schools paying $50,000 for basic services and more if they dare ask for additional support. Finally, the CFNs were a "dumping ground" for failed principals and other unwanted administrators. 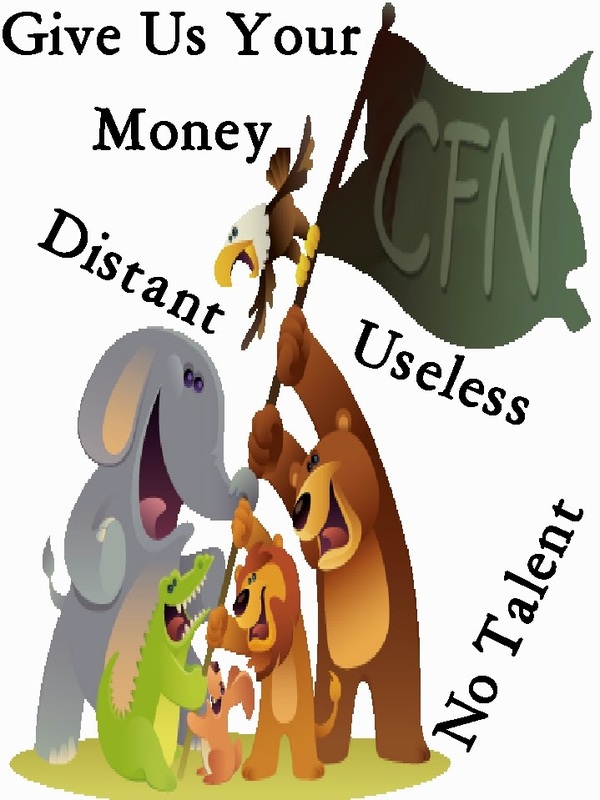 It was common knowledge that the CFNs were thin on talent and in many cases plain useless. The creation of the CFNs were part of ex-Chancellor Joel Klein's master plan to fund his and all the Bloomberg infinitives at the expense of the schools. his Deputy Chancellor bragged that Tweed was able to reduce School Support funding by 32% since 2006 while the schools themselves suffered from an average 14% cut in their own budget. Privatization and Charter Schools were the hallmark of the Bloomberg/Klein years. However, it was the constant reorganizations and the lack of accountability at Tweed that marked those years The useless and money sucking CFNs were the final product of these unnecessary and harmful reorganizations. Hopefully, the Superintendents will provide real support and encourage the schools in their community to hire the best teachers for the students in their District while keeping the door open for parent involvement. That might be wishful thinking on my part but at least Eric Nadelstern's monstrous creation, the CFNs, just like Frankenstein is destined to die. It's good goobye and good riddance to the CFNs. As a side note: How many teachers who work at the CFNs will be out of a position come July? If they expect to be placed in schools, guess again. Nobody is going to pick them up because of their salary. 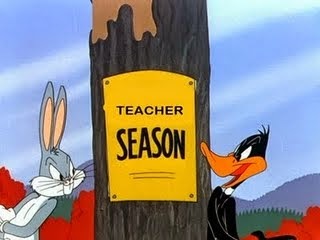 To those CFN teachers, you reap what you sow. What The Union Forgot To Tell You About The ATR Agreement. In the new contract the union allowed the DOE to impose special provisions on the ATRs, making them "second class citizens". Moreover, the union has quietly allowed the DOE to keep the immoral "problem codes" attached to an ATR's file if they had a substantiated OSI or SCI investigation. even when an independent arbitrator finds the charges not to be true. 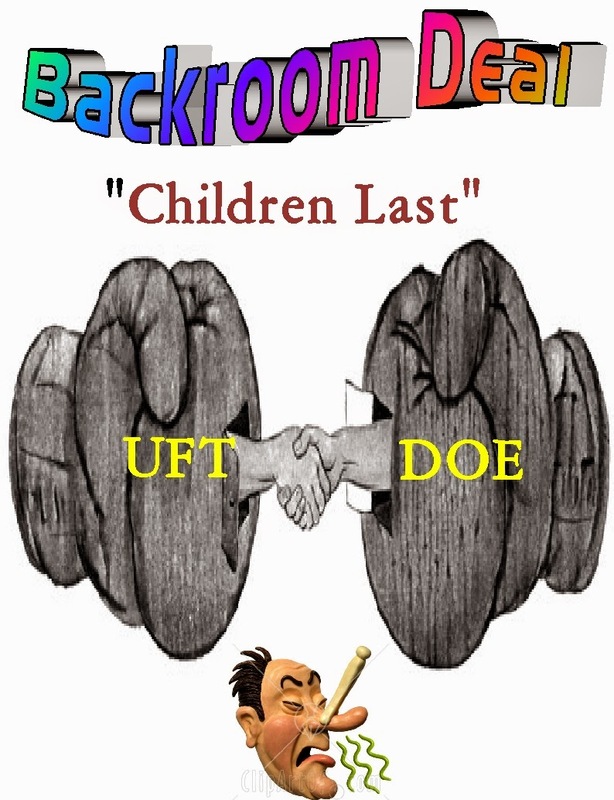 Now it seems that the UFT and DOE have had some side agreements that circumvent the recently enacted ATR agreement. First, the UFT has agreed to allow principals to hire external candidates for vacancies during January. Nowhere in the contract is this spelled out or even hinted at. Many principals are still interviewing ATRs but only to show that they are abiding by the contract while delaying hiring until the January window to hire an external candidate, probably a "newbie". Second, just like all other ATR agreements, the DOE is violating the conditions as the union has no power to enforce it. I know of a case where a Bronx elementary school Principal is hiring an external candidate for a long-term leave replacement, in direct violation of the ATR Agreement. How many other principals are violating the ATR Agreement? I'm sure quite a few. Finally, the UFT has failed to protect ATR rights from vindictive field supervisors. How can rotating ATRs, who have no ownership or even knowledge of the students,. expect to meet the unreasonable requirements imposed by these field supervisors. Most importantly, they demand "rigor" and "higher level thinking skills". However, if you have no knowledge of the students, how can one determine their ability in one class session? What is "rigor" anyway? Despite numerous complaints, the UFT has failed to stop this abusive practice by the field supervisors. To summarize, it appears the DOE has decided that violating or circumventing the contract terms of the ATR Agreement is part of their game and the UFT does nothing about it, like usual. New Teachers And The Pension Bomb Myth. Lately the newspaper are increasingly complaining about the upcoming pension bomb that will bankrupt the City when the next recession comes around and if the current conditions stayed the same, they might have a point. However, they are falsely assuming that most of the teachers will last long enough to be vested. The truth is as of 2013-14 school year, only 40.3% of all New York State teachers lasted long enough to be vested and receive any sort of pension. This figure is still dominated by Tier 4 teachers who only need five years to be vested/ However as we look into the future, we find that New York State has imposed a new Tier V and Tier VI pension plans on all public employees who were hired as of January 1, 2010. Since both Tier V and Tier VI pension plans require employees to have ten years of service before they get vested, the 40.3% figure is bound to drop significantly in the next decade. As more of the Tier IV "baby boomers" retire, the remaining workforce will be subject to the ten year vesting requirement.and we will see New York State's 40.3% number drop. How significant will the drop be? Well, if we take Illinois as an example, when they had a five year vesting requirement, 66.6% of all teachers were able to meet the vesting requirements. Now they expect only 38.% of the new teachers will meet the ten year vesting requirement. That's a 43% reduction in teachers getting vested. If we apply the Illinois reduction to New York State then the expected vesting will drop to 23% for all new teachers who need ten years to be vested! Or only one in four teachers will be eligible for even a minimal pension! This disturbing figure is in line with some other states like Pennsylvania (25%), Hawaii (26%), New Hampshire (25%), and Mississippi (24%) who also has ten year vesting requirements. I strongly suspect if only large urban areas like New York City, Buffalo, and Rochester were broken down, the teachers who survive long enough to be vested will be much lower than the New York State average. Moreover, as the economy continues to recover, many new teachers will probably leave the teaching profession for jobs with more money, respect, and less stress before they are vested This is especially true in New York City where high paying office jobs are becoming increasingly available and will attract the "newbie teacher". Finally, the more punitive teacher evaluation system will discourage teachers who have other options to leave the teaching profession, particularly in the struggling urban schools. 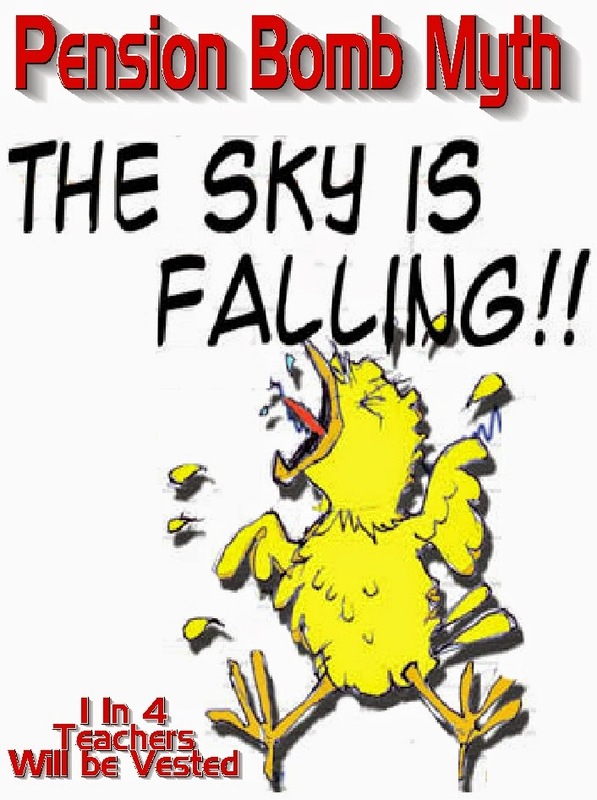 The bottom line is this, the "pension bomb" that the media and politicians loudly complain about, is really chicken little saying "the sky s falling". Under our present pension system and the demonizing of the teaching profession, New York State will not experience any teacher "pension bomb". In fact, its quite possible that with teachers not lasting long enough to be vested and eligible for a pension, the pension will be fully funded as three out of four new teachers will never be able to draw from it. Accountability Is Only For Schools And Teachers Not For The Government. Accountability! How many times do we hear the word when it comes to student academic achievement and when too many students fail to achieve the benchmarks, who gets the blame? Right the schools , the teachers, and their unions. If only we can simply fire them at will? Yet the real villains are the government bureaucrats who set unreachable goals, implement questionable policies and programs, and demand that the schools and their teachers be held accountable when they are not met. During President Bush's tenure, he and Senator Edward Kennedy came up with "No Child Left Behind". (NCLB) The final goal being that 100% of all cohorts be academically proficient by 2014. Oops, we missed that one didn't we? Part of the NCLB was that every school has "highly qualified teachers" in every classroom. However, thanks to Iowa's Democratic Senator, Tom Harkin, that was watered down to allow the two year wonders from "Teach For America" (TFA) to be hired for the classroom with all of a five week training regime. The result was that the schools that struggled with academic achievement found themselves with inexperienced and TFA teachers and suffered the destabilizing effects of high teacher turnover. Worse was both parties were being influenced by the education reform movement that blamed teachers and their unions for the lack of student academic achievement rather than the reduction of education funding, larger class sizes, and ignoring the effects of family and poverty as the main factors of poor student outcomes. As education reformer and ex Chancellor Joel Klein liked o say "poverty is no excuse for student learning". Boy, has he been proved wrong! Were any of them held accountable for the failure to attain the unrealistic and every changing goals? 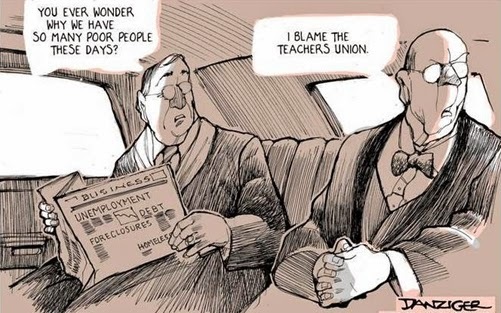 Of course not, just blame it on the teachers and their unions.. The blame the teachers theme continued under Barak Obama as he first blamed the teachers at Central Falls Rhode Island rather than realize that the problem was the large immigrant population from Central America with little formal education and knowing little or no English. while living in poverty and without their parents Worse, he then appointed his basketball playing buddy, Arnie Duncan who almost single handily, destroyed the Chicago Public School System, as Secretary of Education. The very same Arnie Duncan who thought Hurricane Katrina was the best thing that happened to the New Orleans Schools and who can forget his quip on white suburban soccer moms when people complained about the badly flawed Common Core tests. To get the States to implement the high stakes Common Core tests Obama and Duncan bribed the States with federal money called "Race to the top" (Rttt) and threatened to withhold federal funds if states refused the offer. At the State level Governor Andrew Cuomo appointed a Charter School advocate and education Reformer John B. King as NYSED Commissioner and he tried to force the badly flawed Common Core high stakes tests and wanted it used to evaluate teachers and principals despite the "junk science" assigned to it by all statistical associations. When parents, administrators, and teachers came out in droves to complain about the flawed incrementation, his response was that they represented "special interests". while approving a carefully organized charter school rally to support him in a Manhattan meeting as representing the majority. John King was a lightning rod and ended up having NYSUT issue a "no confidence vote" against him. The Regents is little better as non-educator Tisch wants to close schools and terminate teachers however, when it comes to her own accountability she blames it on others. Take, for instance, the 22 year old Dr. Ted Morris issue in which the Regents approved him as a CEO of a charter school in Rochester and didn't bother to check his credentials. Here is the list Commissioner Merryl Tisch wants. Finally, there is the good old Governor, who becomes more unpopular daily. He has decided to veto his own bill that would give teachers a two year stay, until the teacher evaluation system is fixed. He wanted a 10% ineffective rate as the Rttt suggested but ended up with a 1% "ineffective rate". He now wants the entire teacher evaluation system strengthened to achieve his 10% teacher "ineffective rate" and wants more charter schools to appease his hedge fund contributors. Let's not neglect Mayor Bill de Blasio who ran on lower class sizes, more funding to the public schools, and a change in tune for the teaching profession. None of these have been realized to date. In fact his disappointing Chancellor, Carmen Farina has frozen school budgets in her first year and saw no reduction in class sizes or a more welcoming attitude in the classroom. Accountability, is for teachers not for our politicians and their failed policies that have resulted in little or no student academic achievement. NYCDOE Teacher Hiring Policies Ensure That There Will Be Little Improvement In Student Academic Achievement. This school year, mostly due to a wave of retirements added to the normal teacher attrition rates, there were 6,000 teacher vacancies that principals needed to fill. One would think the DOE would have encouraged the schools to interview and hire the ATRs since they represent a group of highly experienced teachers that many schools are desperate to have for their students. However, because of how the DOE funds the schools, and the many Leadership Academy principals in the system (20%), the opposite is true. Many schools selected the most inexpensive teachers they could find so that teacher salaries didn't eat up their tight budgets. The few ATRs that were hired were either untenured or had less than five years in the system. While new blood helps a school, when they are hired to fill selected positions, many schools only hire the "newbies" simply because they're the most inexpensive. This is especially true in the small schools with Leadership Academy principals. The problem is that these "newbie teachers" lack the characteristics of what a quality teacher has. 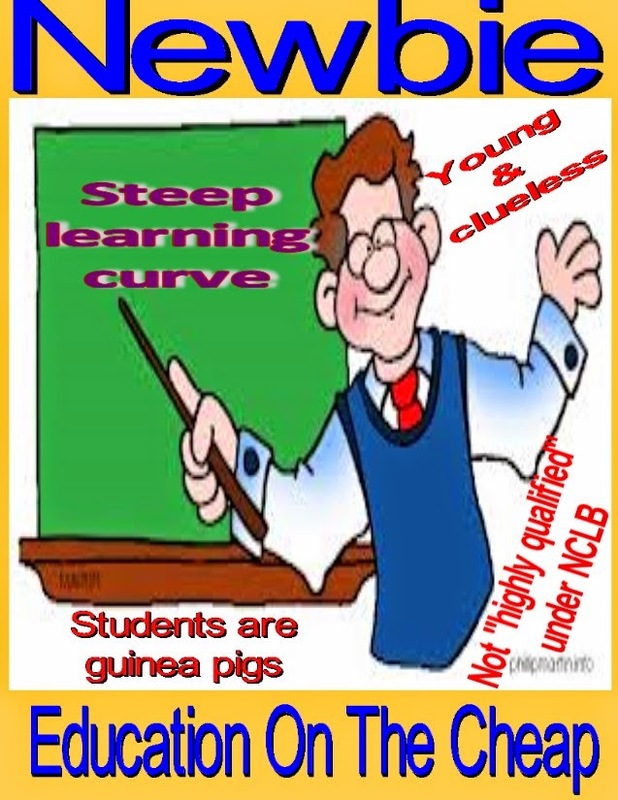 The students who are exposed to the "newbie teachers" find themselves as guinea pigs to the teacher's steep learning curve and can't achieve their academic potential since the teacher is learning his or her craft themselves. In the better schools that might not be as great a problem since the students tend to be self motivated and peer pressure helps them stay on the right academic path. However, in the struggling schools the influx of "newbie teachers" instructing academically challenged students is a recipe for disaster. The students instantly realize the "newbie teacher" is floundering and turn off to learning as they misbehave and lack respect for the teacher. Furthermore, I have been to many high schools where teachers are not teaching in their certification area, an example is Richmond Hill where all Earth Science classes are taught by teachers without certification in the subject. Last year I was in a school that simply decided not to give a Regents in the subject rather than hiring a certified Earth Science teacher in when their teacher took extended leave. While a quality teacher only makes about a 1% to 14% difference in a student's academic outcome (VAM), having a quality teacher is still very important for the student. However, the present DOE policy ensures that the high poverty struggling schools will experience high teacher turnover and an influx of "newbie teachers" that will not only limit a student's academic achievement but will maintain the already unacceptably wide racial/income academic achievement gap. What can the DOE do about this? First, they must eliminate the "fair student funding" that is a disaster for schools and make staff salaries units that are funded by DOE Central. This will; allow principals the ability to hire the "best and not the cheapest teachers" for their schools. Second, encourage principals to hire ATRs by giving them a subsidy, similar to what was done back in 2009 that allows principals the ability to pick up an ATR at the salary of a "newbie teacher" with DOE Central picking up the rest, if the DOE refuses to eliminate the "fair student funding". Paying over $150 million dollars annually for babysitting services does not help student academic achievement while starving schools of much needed funding. Third, significantly reduce the DOE bureaucratic bloat that starves the schools. A good start would be the downsizing of the Accountability and Legal departments. Finally, reduce class sizes. Teaching 34 students in a class is much too large for real academic achievement. Classes should be capped at 25 and even less for the K-2 grades which is more in line with the rest of New York State..
Until the disappointing Chancellor, Carmen Farina, actually changes the DOE funding policy, don't look for any real student academic achievement and a narrowing of the racial/income achievement gap. Look for very little change in 2015 as the increasingly unpopular Governor tries and fails to get his education agenda through the State Assembly despite linking it with the false "perv teacher" issue as they respond to parent and educator complaints of the Common Core tests, used in the teacher evaluation system, being poorly implemented and discriminatory. Moreover, I expect that NYSUT will initiate a lawsuit on the teacher evaluation system that will tie up the teacher dismissal process claiming the VAM is "junk Science', now that the Governor reneged on his promise to not use the Common Core tests against the teachers for the two year period. Finally, the New York State courts will rule against the education reformers on the teacher tenure issues. However, the education reformers will continue to appeal and it wouldn't be settled until 2016 or even 2017, if even then as it works its way slowly to the State's highest court. I suspect that the disappointing Chancellor, Carmen Farina, will resign at the end of the school year as she is criticized from all sides as she ineptly stumbles her way through one crisis after another, making all sides unhappy. Hopefully, the Mayor will select an educator that doesn't suffer from "foot in mouth disease", who has never worked at Tweed and can really clean house of all the Bloomberg policymakers that fester there. 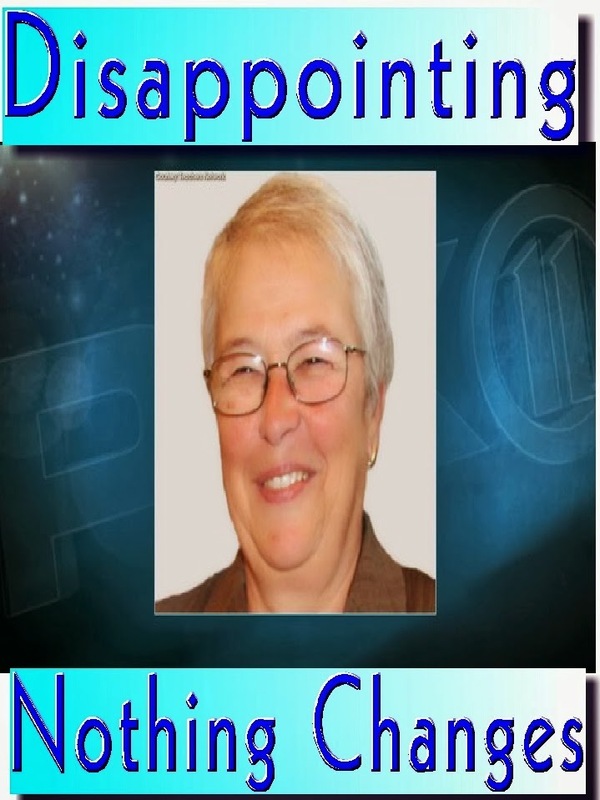 Under Carmen Farina, the DOE's bloated bureaucracy will continue to consume much needed resource from the schools and many incompetent "Leadership Academy Principals" will remain in place and that will result in terrible working conditions, high teacher turnover, as well as poor student outcomes but then again, under the disappointing Chancellor, its not about the students as she is part of the problem and not the solution. 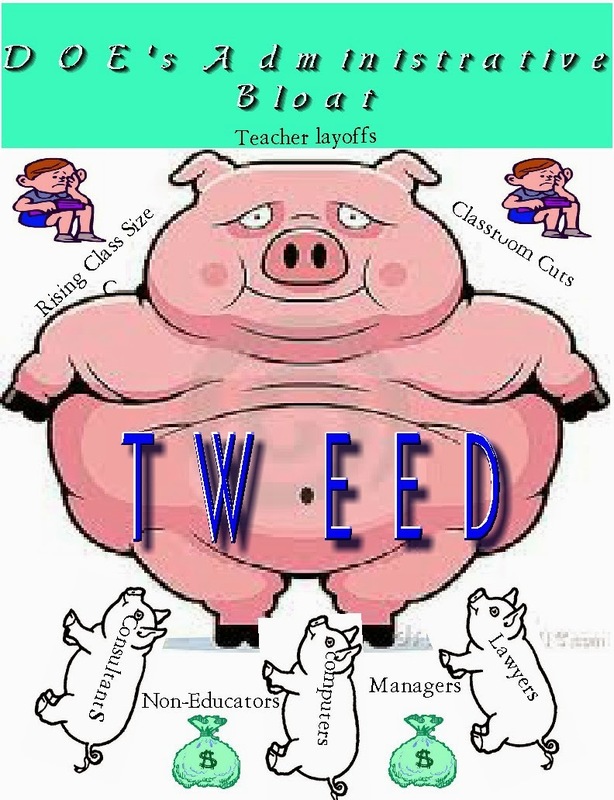 Look for only a marginal increase in already tight school budgets as Tweed still controls the money and will divert it to non-classroom uses. Chancellor Carmen Farina will continue many of the Bloomberg policies that hurt student academic outcomes, such as large class sizes, school budgeting, using the fair student funding, and paying for over a thousand experienced teachers without a classroom while encouraging principals to hire the cheapest and not the best teachers for their schools in their "education on the cheap" policy. 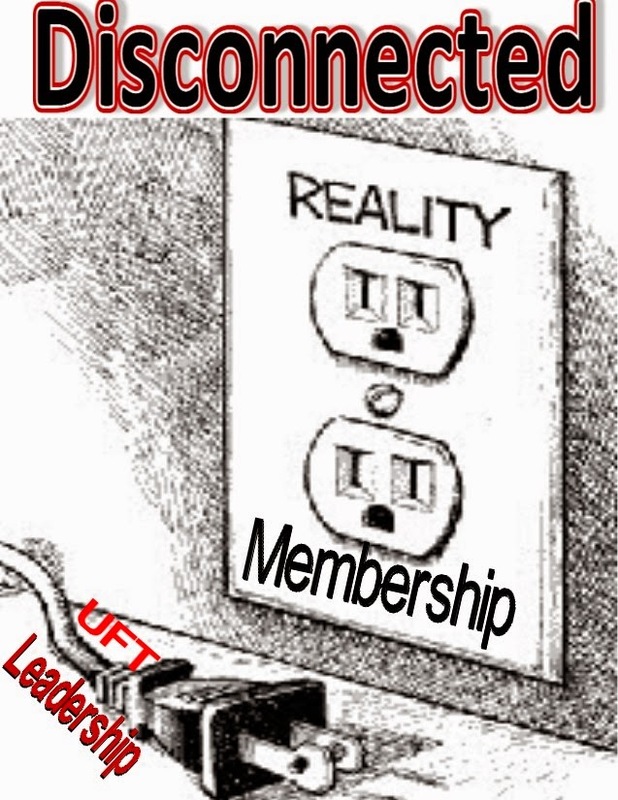 I expect our disconnected union leaders will continue with their neglect of the rank and file and when some of the ATRs are terminated for frivolous infractions or fail to show up for mandatory interviews, they will simply shrug their collective shoulders and continue to close their eyes to the abuses that teachers suffer in the schools. As long as they get the member dues, they will ignore the many issues that school staff have to put up with. Be it vindictive principles, unpaid extra work requirements, the large amount of unnecessary paperwork, or the use of uncertified people teaching a subject. Will a real dissent movement take root and shake up the dictatorial Unity leadership? I hope so but not confident for it happening in 2015.
the Chancellor and our union leadership does not make it down to the schools as vindictive administrators still take their cues from the bloated DOE Bureaucracy at Tweed and look to use the Danielson framework to punitively rate teachers and when these administrators are identified and exposed, the Chancellor and our union President ignores the problem. With changes to the student discipline code, the classroom will experience more behaviorally challenged students who know there will be little or no consequences for their actions, making teaching a living hell in hard to staff schools and I strongly expect an even higher teacher turnover in these schools. That's why if you teach in Queens at the high school level please see my list on "Schools to avoid". The only silver lining I see for 2015 is that we all get a 3% raise in May and receive 12.5% of our retroactive raises in October, assuming you don't resign, get terminated, or die before then.